Scott Binder is from Seattle but is living in Berlin, Germany. Up until 2015, he was DJing in nightclubs but when he was diagnosed with a life-threatening health challenge. That year, he realized he needed to balance his life in order to restore himself back to health. A big part of the change he made was creating music that resonated with his heart, rather than pursuing the inflated ego goals in the music industry he used to have. After letting go of the old path he began DJing in places he enjoyed hanging out in himself. Fast forward two years and Scott is now enjoying DJing for Ecstatic Dance and other conscious events around Europe and the States. Scott is one of the Ecstatic Dance DJs in Berlin, and is the co-creator of Ecstatic Dance Munich, and also produces his own monthly events in Berlin that include cacao ceremony, breath work, and dance. Scott Binder is from Seattle but is living in Berlin, Germany. Up until 2015, he was DJing in nightclubs but when he was diagnosed with a life-threatening health challenge. That year, he realized he needed to balance his life in order to restore himself back to health. A big part of the change he made was creating music that resonated with his heart, rather than pursuing the inflated ego goals in the music industry he use to have. Esta Polyesta from Amsterdam, The Netherlands discovered the magic of music at an early age, but did not feel ready to share her collection with an audience until 2005. She started organizing dance meditations and DJing at parties from a desire to let other people experience the beauty of music and the power of movement. Esta is a dancer, a traveler, a seeker and yogi loves to combine ethnic and ritualistic music with electronic beats. Dance is her passion. She took many advanced workshops in 5 Rhythms and other conscious dance practices and completed a training to be a Trance Dance facilitator. From early in the development of Ecstatic Dance in The Netherlands she has been DJing at sessions and facilitating ceremonies. Dance has taken her around the world. Esta gave Ecstatic Dances, workshops and Dance Liberation trainings in Sweden, India, Romania and Israel. Constantly on the move between the Ecstatic Dance communities of Berlin, Amsterdam, Haga, Eindhoven and most recently Bucharest, DJ Goldmund is an inspired facilitator of elevated states on the dancefloor. His eclectic mixes thread exciting paths between exhilarating electronic productions and acoustic instrumentation meant to bring dance to an exceptional depth and intensity. Crisp beats and irresistible rhythms are effortlessly woven together with serene melodies and beautiful vocals bringing an undercurrent of warmth to the lush soundscape of his journeys. DJ Goldmund a.k.a. Jacob was born and raised in South Africa, lived in Amsterdam for 5 years and recently moved to Berlin. DJing Ecstatic Dances is his forté. A passionate dancer himself he knows how to get the dancefloor moving. The creative blends and fluctuating intensity waves are distinctive for his sets that take dancers to the outer reaches of how their bodies really want to move. 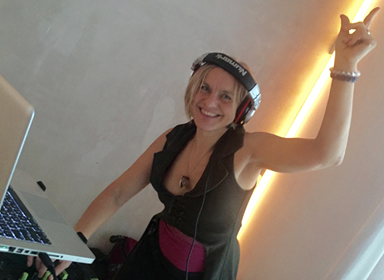 DJ ALMA ∞ OMEGA is the co-founder of Lucid and Cacaophany, and has been passionately opening portals of magic since her first house-party in 1997, coinciding with her life-purpose for creating alchemical spaces of transformation, celebration, healing and releasing. She is an avid believer in the power of DANCE and MUSIC to elevate & connect the spirit of humanity: allowing us to get back to the basics, our roots, our hips, our hearts, our oneness…no dogma on the dancefloor…just a dream within a dream, and a dream we dream together. Her relationship with music is centered in the belief that it is one of the most powerful instruments for transformation, elevation & evolution of humanity, for its mind & heart opening powers. Her mixes include from organic beats, ambient, hip-hop, funk, tribal-ecstatic, deep-house, eclectic-electronic, strings & harps to booty-beats & drum n bass drops, with a mad love for the entire spectrum of deep soul-music. Her creation is born from a sense of reverence for the music that moves us, inspires us, heals us and makes our lives more magical. On the local scene, DJ Raman started in 2015, together with our community, his exploration into the musical landscapes for Ecstatic Dance mind-opening, cultural shifting dance journeys. Part of the wide international movement of conscious dance floors that transform our planet, DJ Raman is passionate about sounds that transcend genres, rhythm fusions, frequencies and harmonies that expand consciousness. The electronic fabric of his mixes creates a fluid space for intense emotive movements, stretched between ethereal astral planes and deep primal caves, highlighting play, inspiration and unification. DJ Yarun Dee plays a fusion of electronic music mixed with shamanic, tribal and oriental sounds from around the planet. The feeling on the dance floor is spacious and grounding at the same time, given by subtle and compelling melodies, strong and earthy beats. Rhythms that make your body want to dance, your mind to become silent and your spirit to expand. He has been a resident at Odessa and Club Lite in Amsterdam for several years, where he played for conscious dance events like Ecstatic Dance, The Chocolate Club, Tantric Dance and Shine. He is regularly playing at Ecstatic Dances throughout Netherlands and Europe. Right now he also is a resident at Ecstatic Dance Utrecht and Ecstatic Dance Odessa Amsterdam. Ecstatic Dance is for me a celebration of life, of human existence in all its natures, from darkness to light, from sadness and anger to lightness, happiness and a feeling of pure ecstasy. Dance is one of the best ways to become free and expand my mind, to go beyond regular perception of myself and the universe around, to become free of though and have a direct experience of reality. Dancing and making music is one of the most ancient things we do as human beings on this planet, to come to unity and celebrate. Vesica is Initiator and Co-founder of Ecstatic Dance Berlin, where she is a resident DJ and the organizer of Ecstatic Dance Sundays. She was born & raised in Berlin, where she currently lives again. However, Vesica has lived most of her adult life in the San Francisco Bay Area, CA. Oakland Ecstatic Dance saved her in 2008 when her doctoral dissertation on spirit possession & psychiatry was literally driving her mad. Ever since, Ecstatic Dance has been her twice weekly, non-negotiable pilgrimage to the dance floor -to get down and right with herself, her community, and the World. Vesica is a dancer’s DJ deeply steeped in West Coast Bass music with a predilection for bass, glitch & funk, creating transformational healing dance journeys. Arun Ji is one of the pioneers of Ecstatic Dance in Europe and India. Since 10 years he plays music at alternative and conscious events, and deeply explores different forms of dance and meditation. In his sessions he creates a rich musical journey, carefully mixing a wide range of music styles with a broad emotional spectrum, where celebration and meditation meet in the dance. Arun Ji hosts and plays Ecstatic Dances in Barcelona and Madrid, and organised several Ecstatic Dance festivals and retreats in Ibiza, Almería, Barcelona and Goa. His sensitivity, music taste, and refined technique is well received at festivals and in communities around Europe, Russia and India, where he is regularly invited to play. DJ Hazelgurner on his name Javier Lorente Cuevas is playing music since the nineties, DJing for parties and some famous clubs in Barcelona. In 2011 he meets DJ Albert Pala who introduces him to Ecstatic Dance. Since then, Ecstatic Dance music journeys became his biggest love and he started playing for communities from Barcelona, Ibiza and the Netherlands and at festivals like Spiritual Dance, Own Spirit Festival, Ecstatic Dance Barcelona Festival or Open Heart. 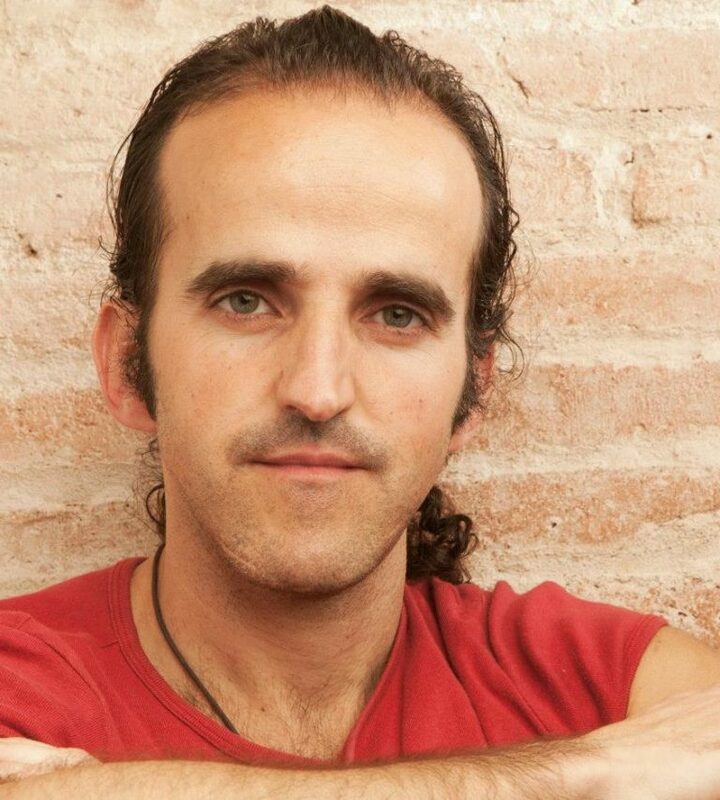 Now he is one of the members of the Ecstatic Dance BCN team with DJ Arun Ji, a collective that offers a space for conscious dance every Friday. On his sets, Dj Hazelgurner creates a mystic travel inspired by the hero’s journey as described by Joseph Campbell. His music is made to offer an integral experience for your body, soul and spirit where you can explore your individual creativity and your power to co-create the reality with the ones around. A soundtrack of space atmospheres, drone ambient, native sounds, ethnic voices, shamanic rhythms, medicine songs, tribal percussion and a eclectic selection of music from funky-house to classical music. Since 3 years DJ Ohreschmaus regularly enriches the Swiss Ecstatic Dance scene with his irresistible and mesmerizing beats. Time has come to bring his carefully arranged sets into the international realms of dancing. The mindful and sensitive atmosphere of the Ecstatic Dance floors is one of the only places where DJ Ohrenschmaus finally found a space to share his fascination for high quality Fusion Music. Here he can share his passion for the connection of Tribal Beats and Folk Melodies, Deep bass and shamanic sound patterns. It is quite impossible to resist, when DJ Ohreschmaus shares his mixes, combining tracks collected from all over the world. It´s easy to feel his love for rhythm and grooves as well as curious instruments and hypnotizing tunes. The free and especially uncontrolled expression in dancing is for him one of the most healing activities for human beings. Its a joy and honor to be accompanied in this natural way by people doing transformative work, to see how they relax into a state of no-mind and become completely connected to their body sensations, to contribute that all inhibitions slowly melt away, track by track. Sign up and reserve your spot now!